Thank you for your interest in OutdoorsOK.com advertising. We are the number one resource for outdoors information in Oklahoma. Also, check out My.OutdoorsOK.com our growing social network of people with similar interests, and the love of the Great Oklahoma Outdoors. 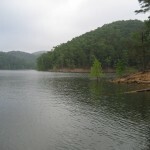 Page Sponsors – Sponsor a specific lake, river, or WMA. If you are interested in advertising options Contact Us today for more information! We average over 1 MILLION page views and over 200,000 UNIQUE visitors every YEAR! Get your ad in front of them today!